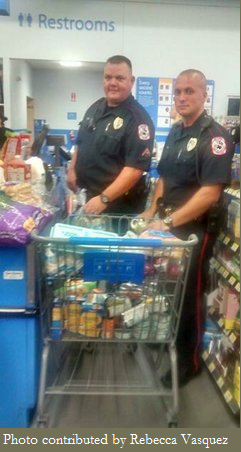 Two police officers got called to a house and noticed the family didn’t have any food in Victoria, Texas. Through conversation with the woman at the home, Senior officer with the Victoria Police Department Bryan Knief found out that she would not have money for a while and that they were down to two cans of tuna. So, he and his partner went shopping. They bought a lot of canned food, hot dogs, sausages, milk, eggs and so on. When they showed back up at the home, the mom and children were very grateful and happy with tears. The police in the area can get a negative rap where people think they just write tickets and put people in jail. One officer been noticed passing out free cookies to children. Spreading kindness rubs off and adds peace to the world. The children and neighbors now have a different impression of cops – a positive one.